Winter blues getting to you? Get out and try something new! There are plenty of spectacular activities to get involved in, even when winter’s chill has set in. Think you’re not the crafty type? Think again! Easy-to-follow painting or DIY-parties take you step-by-step through creating your own pieces, uniquely yours, that you get to take home to display! Located just west of Branson, Creator’s Corner is where you get to create your own fabulous decorative sign to adorn your home or office space. The first open paint of the year will take place on Thursday, January 24th at 6 p.m. with more fun projects in the works for the year! Pick out your ceramic piece, and the instructor will show you all the tips and techniques you need to stain, oil and glaze your way to the end product: your own beautifully one-of-a-kind ceramic to give as a gift or to cherish as a keepsake. Maple Hill Ceramics is just 15 minutes north of Branson. 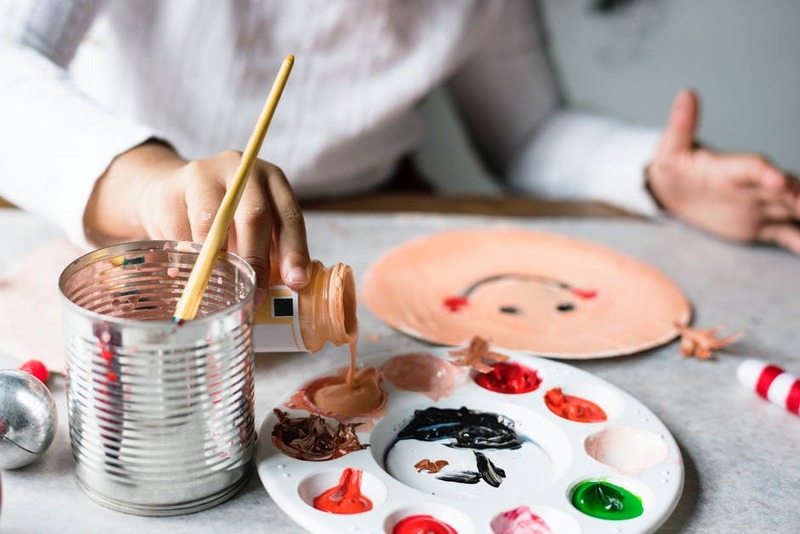 Whether you’ve been painting for years, or have never held a paintbrush in your life, you’ll leave a painting party with a fabulous painting to sign your name on! Paint sessions are offered Thursdays, Fridays & Saturdays, with a different theme each night. Check out Art Parties’ Tonite’s Facebook page to see what’s coming up! It may be the off-season for Branson’s entertainment industry, but there is still quality entertainment happening this time of year. Friday, January 25th, 7 – 9 p.m. This special show is a fundraiser hosted by Ozarkian Hillcrofters, to help them continue their mission of promoting and preserving Ozarks’ history, heritage, and wildlife. Wednesday, February 13th, 7 – 10 p.m. This annual production is a collaboration of top Branson stars. Over 12 shows and entertainers will come together to create the show – everyone from Shoji to SIX to Elvis Live to Buckets ‘n’ Boards will be performing. 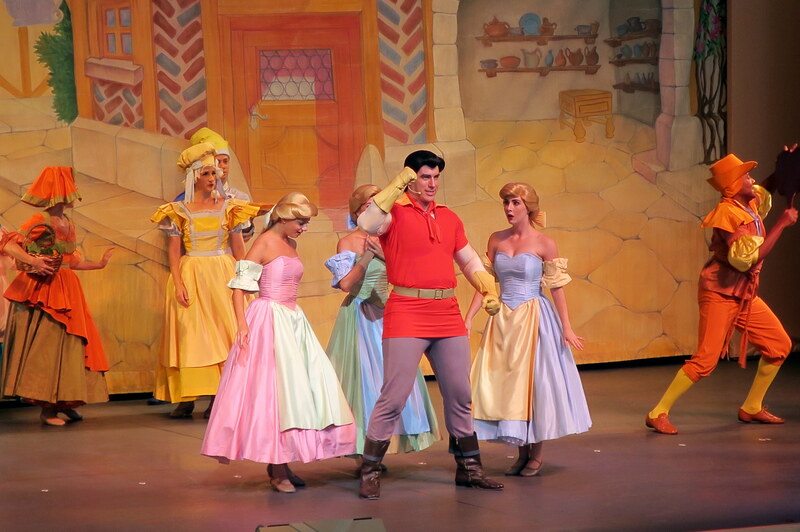 Our very own local Branson Regional Arts Council produces the favorite Disney musical. Local talent will be presenting the musical over 10 different performances at the end of February and beginning of March. Immerse yourself in the history of this area with a Smithsonian-worthy museum! 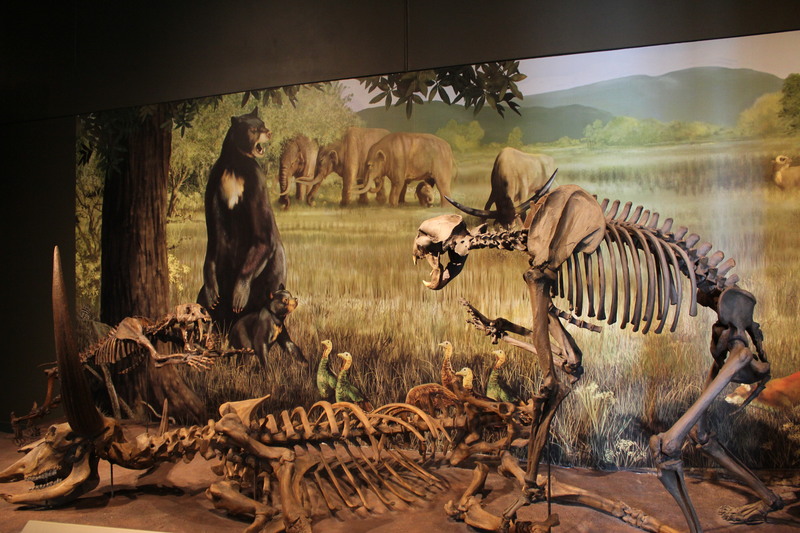 Natural history is displayed with such artifacts as a giant ground sloth skeleton and a woolly mammoth skeleton. The history of the Ozarks’ people is presented through pottery, arrowheads and other remains from Indian tribes that lived in this area, as well as relics up through the Civil War. Now through March 8th, admission is just half price at $6 per person. Childrens’ admission is $5 with kids 3 and under free. Cold weather doesn’t have to mean your fitness routine goes out the window! Learning to dance means you’ll be too busy having fun to notice that you’re also getting a great workout! Sycamore Creek regularly hosts barn dances that the whole family can enjoy. Come early for some easy two-step lessons. Adam and Katlyn lead all the attendees in basic two step, waltz, and line dance moves. 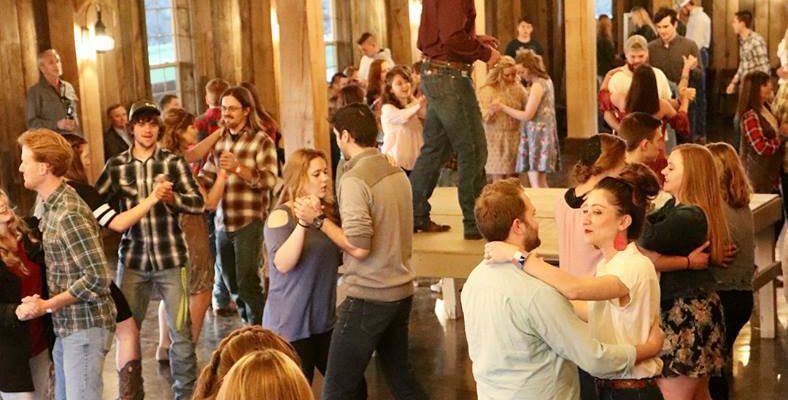 The next barn dance will take place on Friday, January 25th, from 7 – 10:30 p.m.
Want to enjoy some great live folk music and some lively dancing? 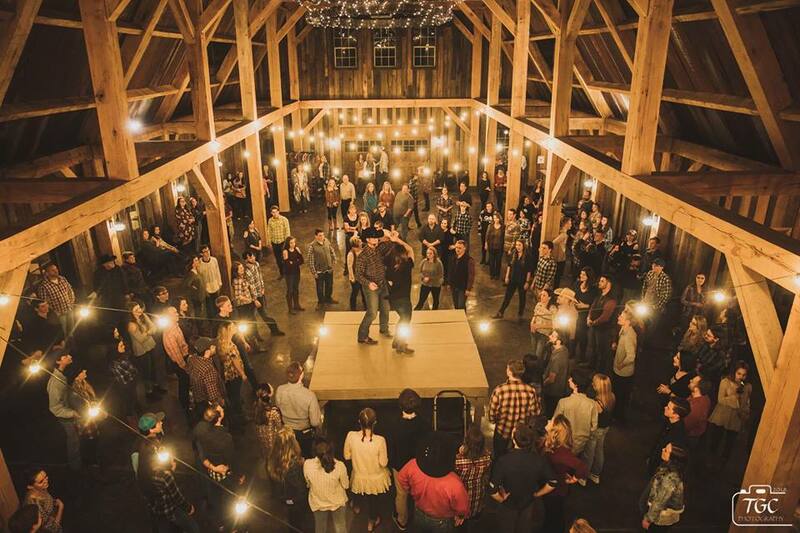 The Rock House hosts a once-a-month square dance. No dancing experience necessary – a caller will be there to lead everyone through the steps. Admission is by donation ($10 donation is suggested, to help cover the musicians’ and caller’s expenses.) Check their Facebook page to find out about the next upcoming dance! 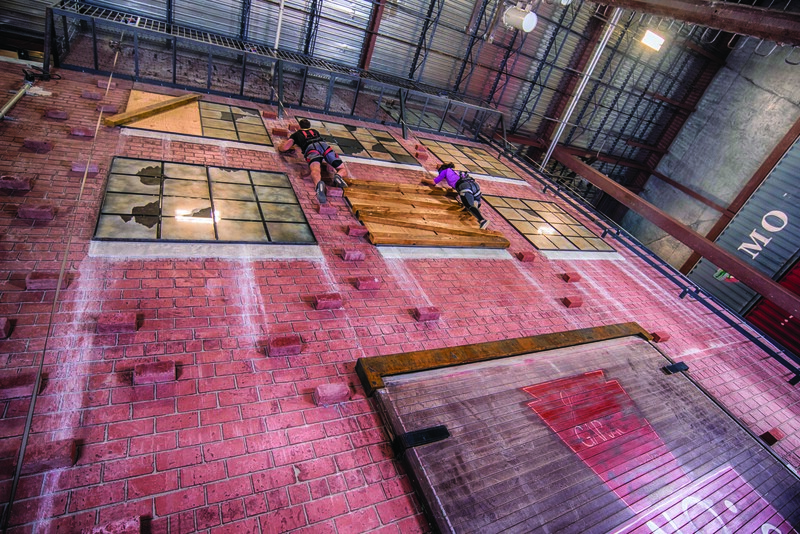 Every day is an adventure at Fritz’s – you can spend an entire day here, and not run out of things to do: obstacle courses, climbing walls, tunnels, zipline, warped walls and more! Winter hours of operation are Thursday – Sunday.